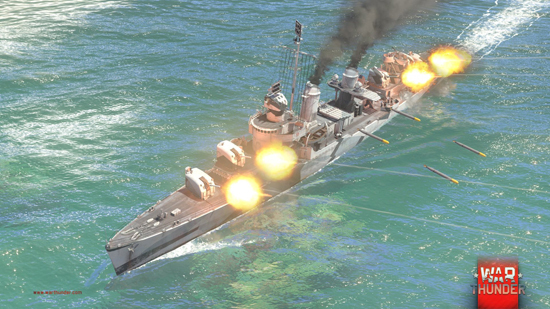 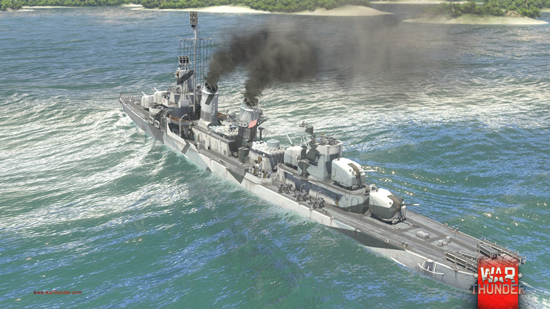 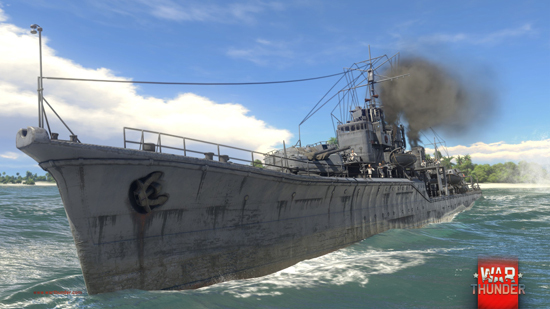 The first Naval Battles in War Thunder featuring destroyers were received with overwhelmingly positive feedback by the players. 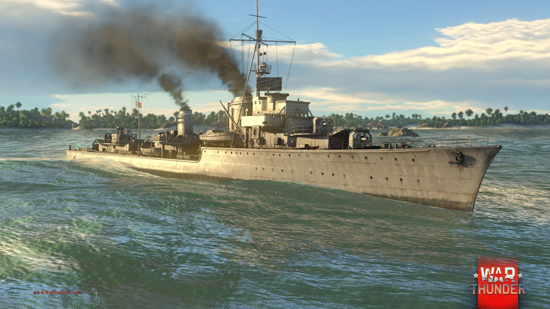 Now, Naval Battles feature three different types of vehicles - aircraft, torpedo boats and destroyers - allowing players to perfectly adapt their choice of vehicle to the current situation on the battlefield. 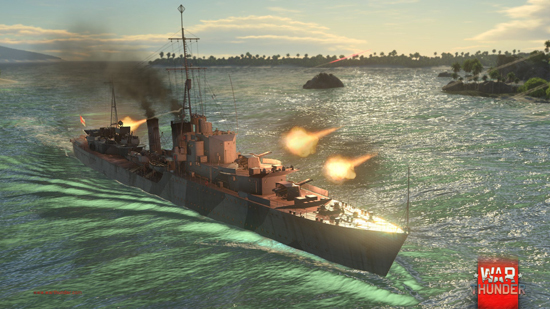 Equipped with the largest-caliber weapons currently available in Naval Forces, Destroyers can engage opponents over extreme distances, even up to the opposite end of the map. 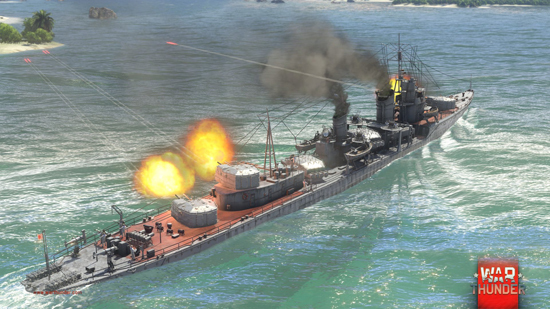 To defend themselves from torpedo boats and attacking aircraft, they employ a large variety of lower-caliber automatic machine guns and cannons. 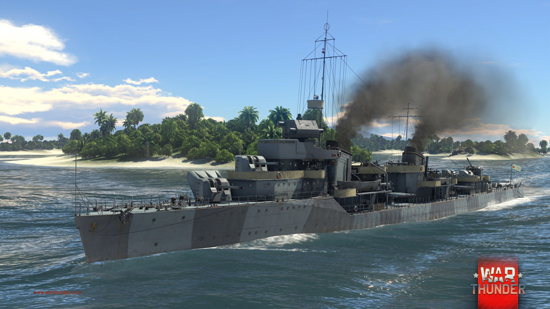 The comprehensive, realistic damage model of Destroyers will allow virtual captains to truly feel ‘at the helm’ of a sizeable warship, requiring them to quickly make important tactical decisions. 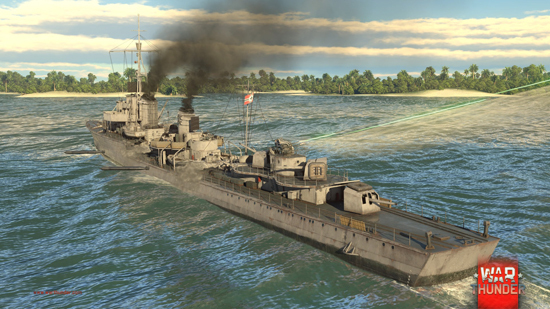 While the captain himself directs the fire of the main cannons, he can decide who are the priority targets for the crew manning the secondary armament, or which sections of the ship to focus on during repairs. 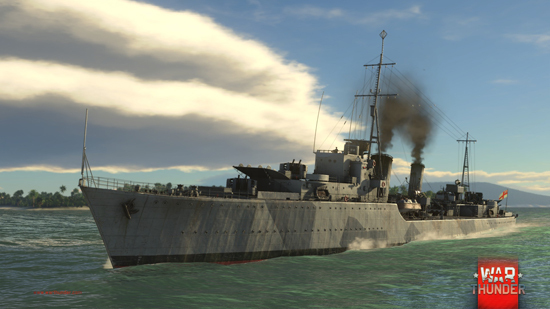 In combat, time is of the essence - as damaged destroyers become a prime target for both torpedo boats and bombers.